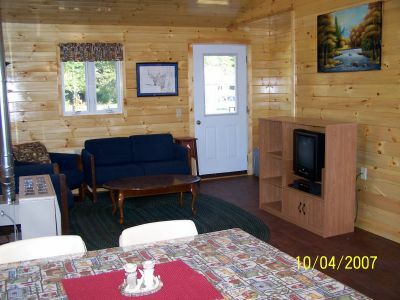 This is our newest and finest cabin rental. 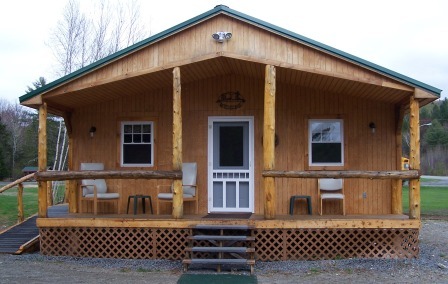 This cabin has plenty of room for up to 6 people with a fully equiped kitchen and open living room, private bathroom with full shower, 2 bedrooms including 2 queen beds and a bunkbed. 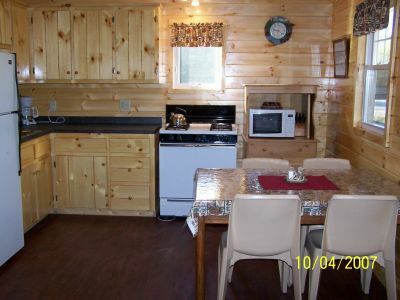 Included are coffee pot, toaster, microwave oven, full sized fridge, TV/VCR/DVD (basic cable only in cabin), all necessary cooking utensils, dinnerware, gas grill with propane provided. 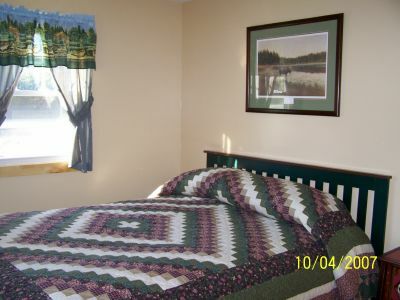 We do all we can to make your stay very comfortable. 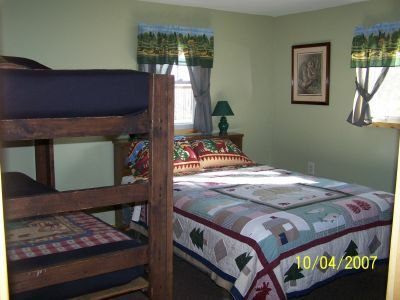 This unit is Handicapped Accessible and is open year-round. 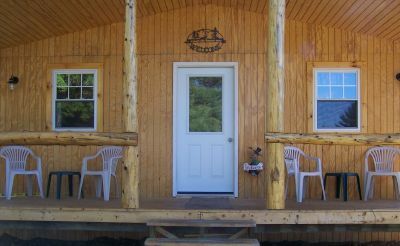 No Pets/Animals Please.